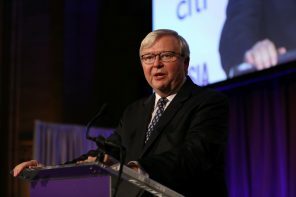 Australia's prime minister in 2008 told Breakingviews how his government decided to spend some 6 pct of GDP on tax breaks, infrastructure and cash payments to citizens. That helped the country heavily exposed to China, commodities, finance and housing avoid a recession – just. Deutsche Bank was credited with coming through the 2008 crisis in better shape than many of its rivals. Jain, who rose from running the German lender’s global markets business to eventually become CEO, stopped by Times Square to speak with Rob Cox about the state of finance. The founder of Oaktree Capital, with $120 bln of assets, doesn’t see signs of an imminent correction or crisis. But investors, particularly in the credit markets, are acting bullish in ways they’ll inevitably regret when the cycle turns, Marks told Rob Cox earlier in October. The presidency of the Richmond Fed, whose territory included two top U.S. banks, offered a unique window on the financial crisis. Wachovia needed rescuing and BofA’s deal to buy Merrill Lynch nearly collapsed. Lacker reflects on what went down and where finance is headed. Even before Lehman Brothers went belly-up, the U.S. Treasury was hatching a contingency plan. Kashkari was one of the architects of the Troubled Asset Relief Program, which plugged some $250 bln into banks. He joins Rob Cox from his current perch running the Minneapolis Fed. Wall Street’s implosion taught Beijing to rue reliance on a rival. Yet officials, gloating over U.S. failures, neglected reform. Despite a decade trying to wean itself from American consumers, cash and currency, complacency has left China exposed to bad policies in Washington. As the chief executive of Citigroup, Pandit engineered the bank’s rescue and recovery from the crisis ten years ago. He swung by Times Square to discuss lessons learned, the things that still worry him and where he’s placing his bets on the future of the financial industry. A decade since Lehman’s collapse, Breakingviews presents a multimedia collection reflecting on the 2008 financial crisis and what’s changed, including new columns and graphics as well as audio and video interviews with key figures like Gary Cohn, Barney Frank and Sheila Bair. The failures and bailouts of 2008 swept away the notion that bank executives could be relied upon to safely run their firms. Since then central bankers, politicians and the media have all grappled with growing public scepticism. The institutional malaise shows no sign of lifting. The 2008 crash proved professionals can deal with a big bank failure. Other questions raised by the slump remain open: Are hedge funds and derivatives evil? What drives inflation? Are big current-account deficits dangerous? Why has the recovery been so slow? No one really knows. The senior Democrat on the U.S. House Financial Services Committee recalls the lack of answers that lawmakers had in the wake of the 2008 financial crisis. The Exchange went to Congress to discuss that period and find out her priorities if she takes over the banking committee. More than 60 pct of lawmakers were first elected after the 2008 financial crisis, and a good chunk after Dodd-Frank was passed. So the meltdown’s causes are lost on many, as is how banking works. With regulatory change on the docket, Breakingviews has drawn up a bluffer’s guide. The last in a series of essays marking the 10th anniversary of the crisis argues the ultralow rates that inflated assets and led to widespread capital misallocation, wealth inequality, financial instability and other risks in advanced economies are even more evident in China. The subprime crisis was born from yield-chasing in the Greenspan easy-money era. Even lower interest rates since the Lehman bust revived the global carry trade. Another maelstrom will be hard to avoid. On the day Lehman Brothers went belly-up, Merrill Lynch sold itself to Bank of America. As president of the “Thundering Herd,” Fleming was the architect of that transaction. In conversation with Rob Cox, he defends the deal, reminisces on the crisis and discusses his new venture. Ultralow interest rates after the crisis may have lifted many boats, but the yachts of the wealthiest have been buoyed above all. Wall Street and the CEO class particularly benefited. This has come at the expense of the less fortunate, who are making their displeasure known.